Seaford clung on to their place in Major 1B by the skin of their teeth after a tumultuous 2017/18 campaign. The team didn't pick up a league win until November, finally breaking their duck in the seven match, a dramative 6-4 win over Clontarf courtesy of a hat-trick from star man Kohei Masaki. 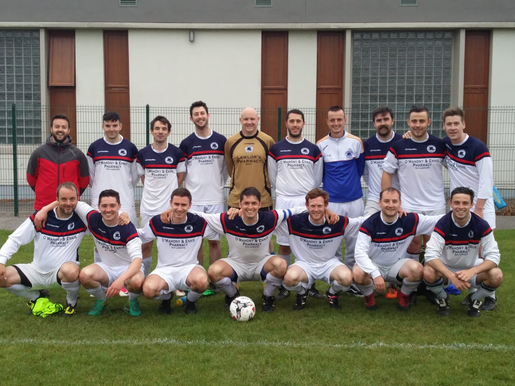 They had enjoyed some respite in the Leinster Junior Cup, eliminating Confey and Beggsboro before coming acropper against AUL outfit Columbas Rovers. A second 4-3 win over Beggsboro - this time in the league, and a draw at promotion-bound Tolka Rovers kept the team out of the drop zone going into the winter break, but the start of 2018 brought unlucky defeats against two relegation rivals in St James's Gate and Kilnamanagh, putting Seaford right back in the soup. The team responded brilliantly with a five-game winning streak in all competitions, including a home and away double over Leixlip United and a 5-0 thrashing of Gate. Those points proved crucial as the side's form collapsed at the end of season on the back of a heavy defeat at St Kevin's Boys in the Carroll Cup quarter final. Seaford picked up just one point from their final six league matches - and even that involved throwing away a 2-0 lead over St Mochta's with five minutes to play - but ultimately they had just enough to cling on to survival. 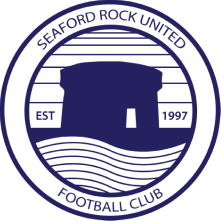 Seaford enjoyed a strong finish to the 2017/18 campaign to secure a top-half finish in LSL Division 3. Tony Bennett got off to a brilliant start as second team manager with two away wins in the space of three days, at Hyde Park and Pegasus St James’s, but the team hit the buffers with a resounding defeat in their first home match, against an Ayrfield United side who would go on blow away much of the division during the early part of the campaign. The team had no luck in the two subsequent matches away to promotion contenders, conceding late goals to draw at Lorcan Celtic and lose at Ardmore Rovers, and overall they endured a rotten spell during the wintertime, picking up just two wins from 12, against relegation-bound Earl Celtic and DCU. But the turning point of the season was a heroic away win over title-chasing Balbriggan at the end of March, with top goalscorer Peter Tierney smashing home a late penalty after Richie Mulholland had earlier opened the scoring. That sparked a run of three straight away wins, the others being against Cloghertown United and Knockmitten United, and although the progress was stunted by another loss to Ayrfield and an unlucky home draw against Tymon Bawn, the team bounced back with a four-match winning streak, despatching Malahide United, Hyde, Knockmitten and Lorcan. Among the key players during the run were defensive stalwarts Adam Finnegan, Matty Tappin and Robbie Murray, who benefited from protection from Amer Herenda, redeployed at the base of the midfield, and further forward Shane Lauritsch, David Devaney and Ryan Scollard were all in in superb form supplying the likes of Tierney, who finished the season with 12 goals. Although promotion was ultimately a bridge too far for Bennett’s man, 2017/18 represented another season of progression for a Seaford side which has developed a brilliant ability to triumph against the odds in recent years.